We have been working with Staffa, Kawasaki, UFI, NTZ, LJM, Hydac, Des-case and LubeTech for many years and have been able to develop an unrivalled relationship with each of them. ANTECH have been Staffa distributors since 1995. Staffa motors are manufactured at Kawasaki Precision Machinery’s UK site in Plymouth. ANTECH are responsible for sales of all Staffa products. Many items are stocked to allow 24 hour supply of full motors and pumps, or spare parts to resolve a breakdown. Their hydraulic motors are renowned throughout the world for performance and reliability. ANTECH have been Kawasaki distributors since 1995. Kawasaki pumps are manufactured at Kawasaki Precision Machinery’s UK site in Plymouth. ANTECH are responsible for sales of all Kawasaki products. Many items are stocked to allow 24 hour supply of full motors and pumps, or spare parts to resolve a breakdown. The Kawasaki range of hydraulic parts extends to a wide variety of applications. ANTECH provide the full range of UFI hydraulic filtration products. These include suction, pressure and return filters. Air filters with a capacity of up to 20,000 l/min are also available. The range extends through to standard reservoir accessories such as filler breathers, level gauges and float switches. 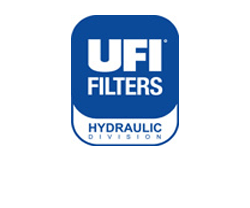 UFI filters can be specified with a clogging indicator, to give a visual or electrical indication of the right time for filter element replacement. ANTECH are the exclusive UK importer of NTZ Micro Filtration products. 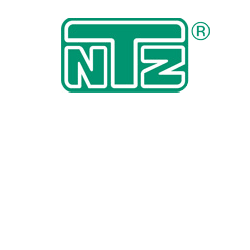 For more than 35 years, NTZ have been a manufacturer of high-efficiency micro filtration products for vehicles, heavy-truck, industrial, marine, off-road, construction and mobile markets. With both manufacturers and operators recognise the need for finer filtration to meet or exceed today’s current cleanliness standards, the NTZ product has become a vital product for the control of contamination. Lind Jensens Maskinfabrik A/S (LJM), manufacture high quality hydraulic cylinders for the mobile, industrial, power generation and food industries. Lloyds and DNV approved cylinders are available in certain ranges. All cylinders are certified in accordance with ISO 9001. Internal and External transducers, valves, manifolds and high paint specifications are additional options. ANTECH offer a wide range of Hydac products, ranging from filtration, component parts to fully built systems. With years of development and continual improvement behind each and every product, Hydac’s range covers almost every industry. Hydac are one of the world-leaders in filtration solutions and provide excellent technical support for all your requirements. Des-Case specialises in contamination control products for industrial lubricants. Built to last, improves life, longevity and performance of lubricants. World-class contamination control in the form of Des-Case air breathers. Control contamination before it controls you. ANTECH offer the full range of absorbents, spill pallets, bunded trays, drum toppers, dispensing equipment and more. 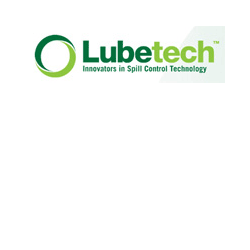 Lubetech strive to supply the best materials to protect your business and environment. Lubetech products are efficient and cost effective.